Online Shopping Apps - How to Get Started with your Ecommerce App Idea? 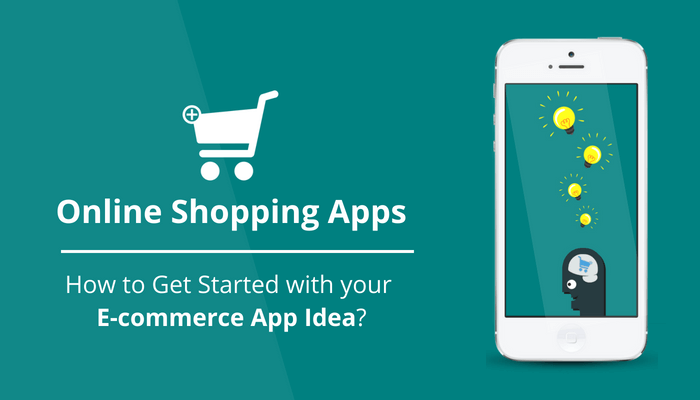 Online Shopping Apps – How to Get Started with your Ecommerce App Idea? Online shopping apps are dominating the mobile era as many of the e-commerce websites are converting into the online shopping mobile apps. Mobile retail apps provide 24/7 accessibility, better price comparison, exclusive deals, and offers, convenience and time saving, around 85% of online shoppers prefer mobile apps for shopping over websites. Moreover, with the rising number of active mobile device users, mobile apps offer a better conversion rate than any of its other device counterparts. Starbucks, one of the world’s largest coffee purveyor, launched its ‘Order and Pay’ mobile app, in 2009 and by 2010, they started noticing, a lot of their customers were coming in stores with smartphones and that inspired them to ask their customers, what can they do to enhance their experiences in stores, be it payments, loyalty, anything. The app enables customers to order their favorite beverages ahead of time and pick them up from the stores. The company launched its app with the sole aim to provide a natural extension to its in-store experience; the key was to keep it simple and reinstate the customers’ store experiences to the mobile version. And as of now, one out of every four transactions is carried out through mobile devices and continues to analyze, evolve and learn its consumers’ behavior. It is imperative that you test the waters before setting your feet to work. Define the product domain and the regions you intend to do business in; analyze the present and future conditions of the market. Figure out the target audience, their business needs, and requirements and analyze what their responses have been in the past. 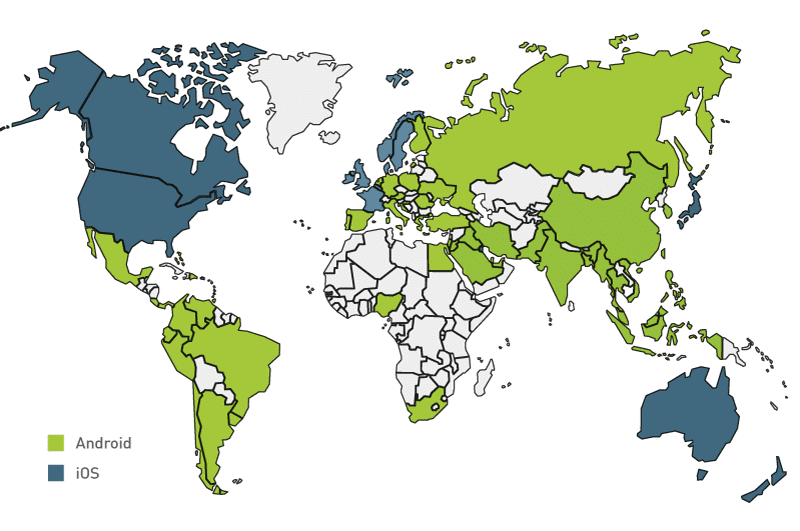 Next, on the basis of your region, determine the mobile platform you wish to launch your app first; for, Android clearly dominates the market share in developing countries like those in Asia and Africa, while iOS dominates the market share in developed countries like America, Australia, and Europe. 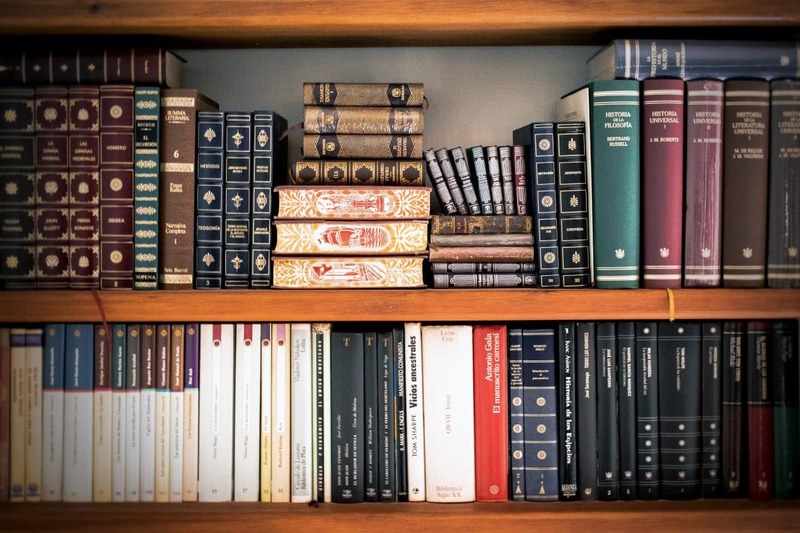 Anatomize the business models of your market counterparts; learn which of their strategies have been lauded and which ones have lacked attention or been missed out. Users do not like tedious login process that asks their personal details, again and again. 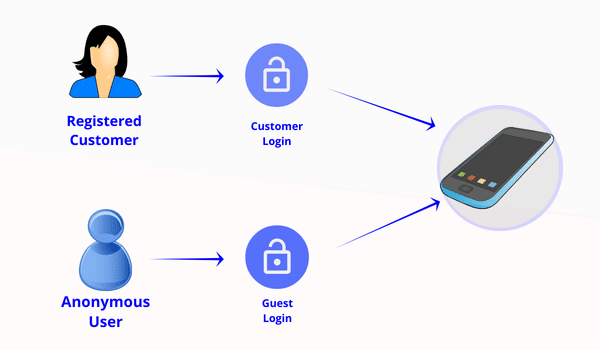 Provide them with social logins supporting all major social media platforms and guest login, so that they can access basic features, that do not actually need contact details. For instance, the e-commerce giant, Amazon allows its consumers to search and browse through its vast catalogue, follow latest deals and offers, use Alexa for a better shopping experience, everything without even logging in; consumers just need to log in when they wish to create a wishlist or place an order. Customers do not like a messed up marketplace, they like to organize things their way viz according to size, colors, brands, price, moods or occasions. Provide your customers with all possible search filters with high-quality indexing, enabling them to look for their requirements effortlessly. Around 48% of the online shoppers buy on an impulse, that is, they buy more than what they actually need. 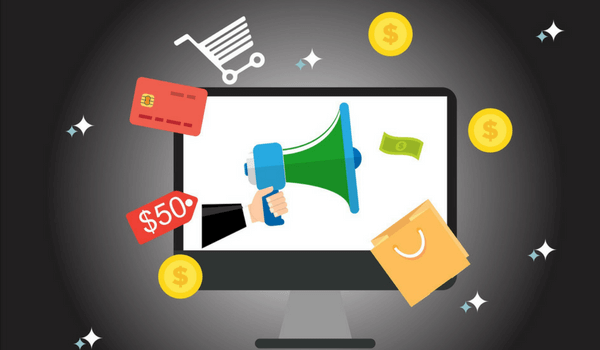 Given, this new trend among online shoppers, providing recommendations according to the latest arrivals, trends, deals, promotions, and festivities, during their retail surfing session, can provide a significant boost to your sales. You can use predictive analytics and geofencing to serve consumers better by analyzing their movements, previous shopping experiences, and search preferences. Provide users with embedded reviewing platforms or forums to post and discuss issues and reviews, regarding your products. Encourage them to post honest reviews and do not get discouraged yourself with the negative ones. Communicate with the consumers asking about their experience, work on that and inform the consumers, once you overcome them. According to Inc, 91% of online shoppers go through ratings and reviews regularly or occasionally and 84% trust them as much as a personal recommendation. You can provide users with effective and efficient consumer support using shopbots and live chats, to resolve their queries anytime, from any remote corner of the world. Checkout processes must be as hassle-free as possible, for, tedious checkouts and last moment delivery costs are two of the four major cart abandonment reasons, according to Shopify. Provide your users with tracking dots or progress bars to monitor their checkout progress, so that they can be patient during the checkout process. You can provide consumers with an estimated delivery cost, that might vary with the delivery destination and costs of the order, with an option for free shipping for orders above a certain cost and place for certain areas. Monetary transactions are delicate matters that can either convert your visitors into regular consumers or vice-versa. Prefer to embed the services of trusted, secure and reliable payment gateways, which are familiar among the audience you intend to target and provides all types of payment options. Design forms an important and inevitable aspect of an app; and since consumers form the basis of the e-commerce industry, it has to be highly intuitive and user-friendly. You have to keep yourselves in their shoes to understand their perspectives. Use an easily identifiable and catchy app icon, that clearly represents your brand value, so that your consumers are able to distinguish them among million others on the App Stores. Do not fill every inch of the space available and make it congested, for, that makes it look cluttered and refrains consumers from coming back again; rather use extensive white backgrounds that define different elements of your app in a comprehensive manner and provides an elegant look. Upload high-quality photos with pan and zoom effect as poor quality pictures tend to disappoint consumers, for they aren’t able to see, what they are paying for. On the basis of your market research & audience targeting, you can decide the development platforms. 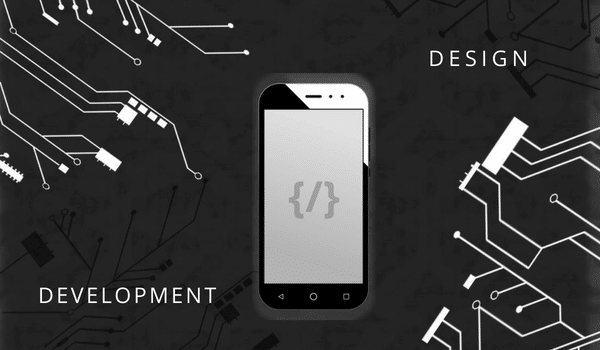 Developing and testing your product for Android can take a significant amount of time, owing to a large number of Android-powered devices, whereas, for iOS, you only have to develop and test for a handful of devices. Adopt a Minimum Viable Product strategy with only the must-have features that reflect your core idea, and launch it in the market. This will provide you with first-hand reports about your target audience, to understand and analyze their behavior and demand for your services. Consumers tend to abandon those apps that have a high load time and app installation time. As your product gains popularity and familiarity among masses, it will tend to increase traffic. It will lead to slowing down of the services; images would take minutes to load, content wouldn’t load up in time, leading to frequent session timeout errors, and eventually leading to a significant fall in your consumer turnup rates. 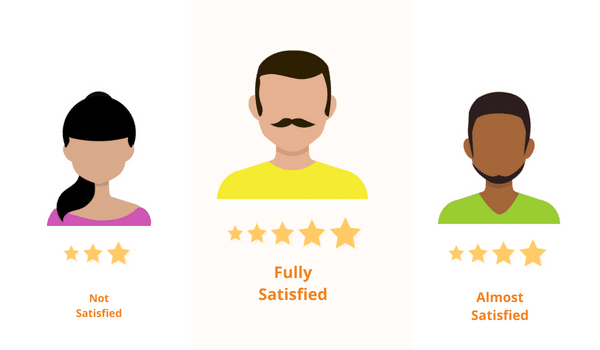 Pay close attention to what your users have to say about you, analyze their feedbacks and work on providing them with a seamless User Experience. Employ a top-notch community of customer service executives to get in touch with the consumers. 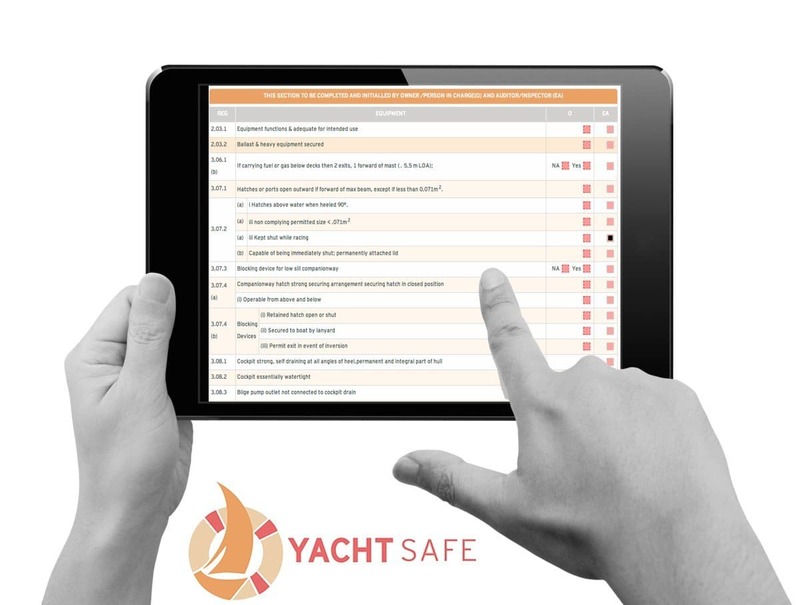 Provide your consumers with comprehensive FAQs and complaint forums. You might have launched a stupendous product, in accordance with all the market data, marketplace insights, needs and requirements of your audience, but, do not underestimate the power of marketing to reach masses. Marketing provides you opportunities to appeal to a wider audience, to engage with your users and stay in touch with them always. You can build a blog and post regularly about the latest and trending topics of your niche, conduct quizzes, provide links to your social media handles, provide loyalty and reward points, gift vouchers, goodies but, refrain from promoting your products and making sales, always. Mobile Apps are the best way you can directly engage with your customer and give them exemplary reasons to build loyalty for your products. You can run membership programs and organize sales event with deals and discounts exclusively for your members. You can reward them with loyalty points for their every purchase and encourage them to avail your services again, which can then be used to redeem gift vouchers or access free goodies. With shopbots and voice assistants in-place, mobile apps allow you to deploy advanced customer support to provide timely assistance to your consumers. Mobile Apps allow you to serve your customers according to their preferences, location, interests, past shopping behavior and experiences. In all, a mobile app allows you to devise tailor-made marketing strategies personally according to each and every customer. You can send push and in-app notifications to your consumers, notifying them about the latest arrivals, deals, and discounts available on the stores near them. As your consumer travels, your app can observe their behavior through geofencing and predictive analysis and serve them accordingly. 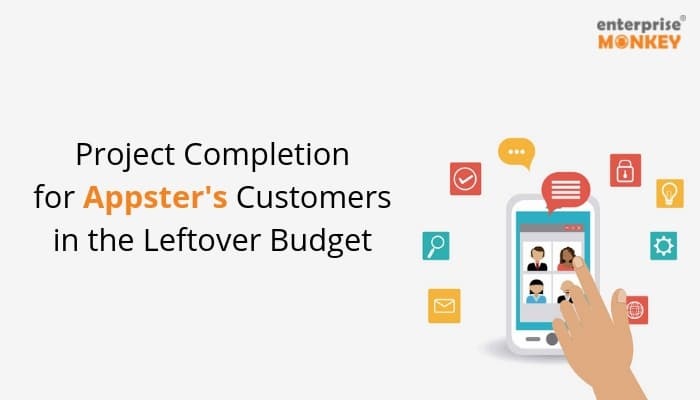 One of the biggest advantages a mobile app offers is its ability to engage with the inbuilt features, like GPS, Microphone, Gyrometer, Accelerometer of the handsets, which in turn facilitates your app to communicate with the user efficiently. Global Positioning system enables your app to track your consumers’ location and with geofencing in place, you can send push notifications to your consumer regarding latest offers and arrival at the nearest stores. Microphone facilitates voice search, while Camera assists in Augmented Reality deployed features, barcode and QR code scanners and image search. While sensors like Gyrometers and Accelerometers facilitate 360-degree virtual tours, Fingerprint and Iris sensors help with security. Moreover, mobile websites require to be accessed through URLs in the browser, while apps, on the contrary, are just one touch away, implying a faster response time and a better conversion rate. Ozsale is Australia’s leading members-only shopping club, that offers exclusive deals from all the major global brands. Each day, a notification is sent to the members giving the details about sales event; the events are for men, women, kids, home, beauty, wine and more. The app boasts about providing exclusive deals to its members only, on products that are nowhere else to find. Started in 2006 with selling television, the company soon realized, it could sell only a limited number of televisions to a consumer; and has ventured and marked its presence into multiple domains, across the retail industry, Kogan Retail, Kogan Marketplace, Kogan Mobile, Kogan Pantry, Kogan Internet, Kogan Health, Kogan Pet Insurance, Kogan Life Insurance and Kogan Travel. Woolworths is one of Australia’s leading grocery stores operating around 1000 stores across the nation. 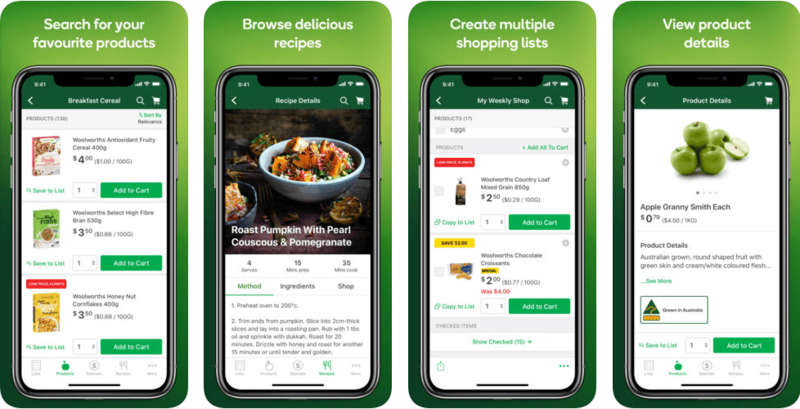 It allows users to create shopping lists, earn, track and redeem reward points, track orders, browse delectable recipes and add their ingredients to the cart, access aisle information in the stores and explore Woolworths Specials. MYER, founded in the early 20th century, is one of the oldest brick and mortar supermarket chains in Australia, with its feet in all Australian states and one of the two self-governing territories of Australia. 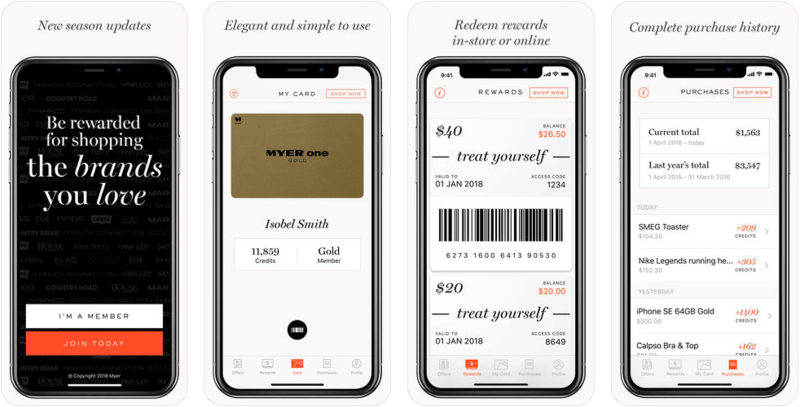 The MYER one allows shoppers to track their rewards and credits under MYER one rewards program, maintain previous purchase history and access to member-only offers. THE ICONIC is one of Australia’s leading fashion and sportswear shopping destination. The app allows fashionistas to shop and browse the catalogue, and search effortlessly with filters like the brand, color, size, price and category, large-sized and high-quality pictures, access shopping lists, wishlists through seamless navigation, get notified about exclusive offers. Coles Supermarket is a retail and consumer services chain that operates 807 stores across Australia. 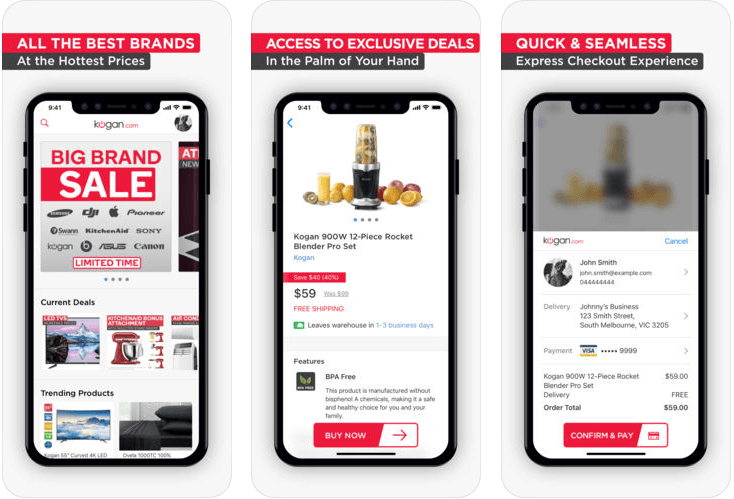 Coles’ handy shopping assistant allows users to link their fly-buys member number, build shopping lists, get notified when their favourites are on Specials, locate products in-store through apps, move shopping list to Coles Online to get products home delivered and know store details. Catch of the day is Australia’s #1 online shopping destination for discount prices on sports, fashion, home, beauty, grocery, and tech from over thousands of brands from across the globe. The app offers single tap order placement and checkout process, fast and consistent delivery and offers bargains thrice a day. With mobile apps having exemplary benefits to make a mark among shoppers community, they surely hold a potential to lead the ecommerce industry. Having online shopping apps in-place that continuously learns and evolves over time, according to consumer needs and behavior, could be the next big thing on your list. Looking to create an online shopping app for your ecommerce business? Connect with the best mobile app developers in Melbourne and reshape your ecommerce business.